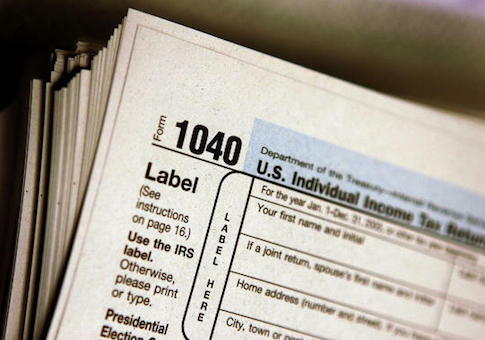 The full state Senate could vote soon on a measure that would block an otherwise qualified candidate for president for refusing to provide tax returns to the Illinois state government. Senate Bill 145 from state Sen. Tony Muñoz, D-Chicago, would require anyone running to be President or Vice President of the United States to release five years worth of tax returns to get on a primary ballot or a general election ballot in the state. Jeff Radue with the political group Indivisible Chicago testified Wednesday in Springfield in favor of the measure. "Any candidates that have not submitted tax returns, in the example if an independent candidate were to bypass a primary or a vice presidential candidate were to be chosen after a primary election as is generally the tradition, or the state party were to bypass the race altogether and just declare a nominee for a particular party, they’d be required to submit tax returns prior to the general election," Radue said. Radue said the measure is constitutional. State Sen. Dale Righter, R-Mattoon, said it "clearly is not." "The constitution lays out the qualifications to be a candidate for president," Righter said. "States aren’t allowed to add to those qualifications. The bill that we heard in committee [Wednesday] clearly attempts to do that. It’s clearly unconstitutional." The qualifications for president and vice president provided by the U.S. Constitution are that the person must be at least 35 years old, a resident of the United States for 14 years and a natural born citizen. It does require making federal tax returns public, although most presidential candidates in the past four decades have voluntarily released private tax information. Democrats across the country have demanded President Donald Trump produce his tax returns. Maryland, Rhode Island, California, Hawaii, Washington, New Jersey and others have attempted such measures, but none of have become law. Illinois Senate Democrats could try to pass a version after a measure requiring president and vice president candidates to show five years worth of taxes before getting on a ballot passed committee Wednesday. Righter said Illinois Democrats are targeting Trump, who refused to release his tax returns. He said he couldn't release them because of an audit. "Notice the bill doesn’t require the disclosure of tax returns by, let's say, a candidate for governor, or a candidate for Speaker [of the House], or for Senate President, it’s simply the President [and Vice President] of the United States," Righter said. "I think that’s a not very well veiled attempt to keep President Trump off the ballot."